In Oaxaca, sustainable agriculture and protecting the environment are inseparable from maintaining rural communities which have occupied the land for hundreds of years. 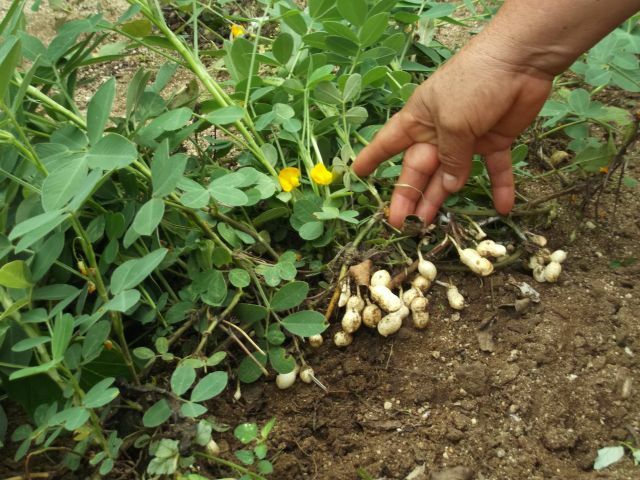 From a small farm and office in Santa Rosa de Lima, Tututepec, Puerto’s neighbor to the west, Ecosta Yutu Cuii has been promoting organic, self-sustaining agriculture in the municipio since 1994. Today it includes 20 Afro-Mexican, Mixtecta, Chatino and mestizo communities covering 7,800 hectares. 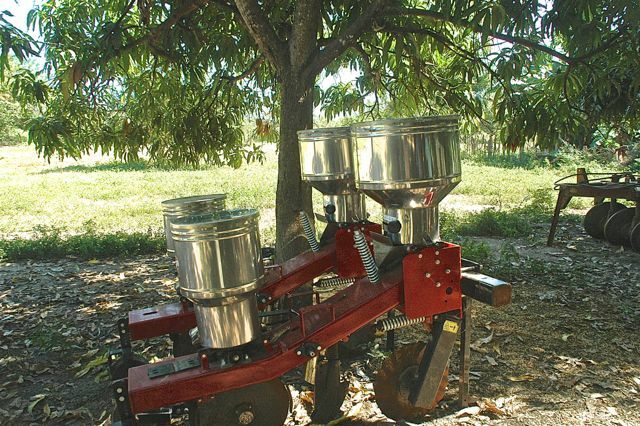 While the State and Federal governments are pushing the use of chemical fertilizers and cash crops, Ecosta, with the help of Mexican and international foundations, focuses on self-sufficiency and producing what you eat. With the help of volunteers from many countries, they offer training in organic composting and pest control. 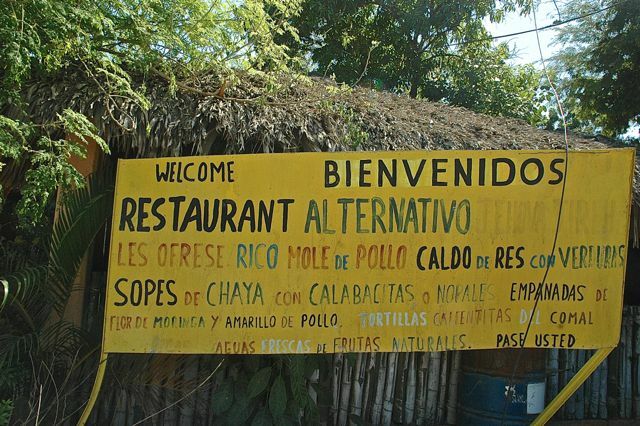 They also have an organic restaurant on the highway in Santa Rosa de Lima and a tianguis every two weeks where farmers can trade their surplus crops. Ecosta has also been active in the struggle to gain official recognition of the Afro-Mexican community. After many years of effort, the state of Oaxaca now recognizes Afro-Mexicans as an ethnicity with its own unique culture. The Federal government still has not. For more information, go to their website ecosta.org or call 954 543-8284. 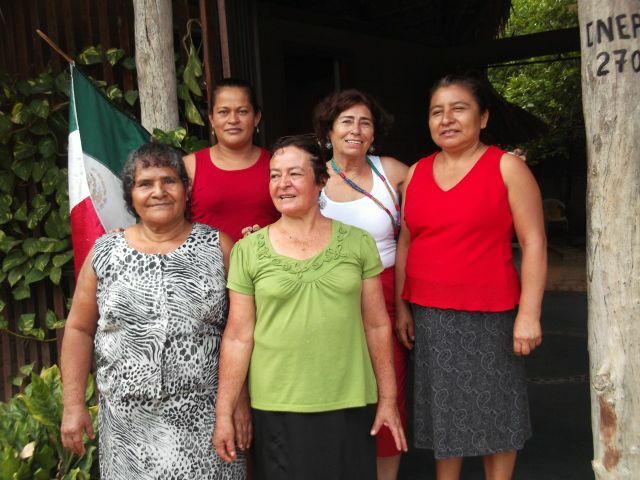 Productoras ecológicas de el Tomatal: Verónica Ruiz Órtiz, Cortes Ríos, Gloria Bohórquez Mendoza, Teresa Ríos Cortes & Bertha Luna. Organic peanut butter and tahini are the specialty of a women’s cooperative, Productoras de el Tomatal, Ecológica, in el Tomatal, Santa Maria Colotepec. The peanuts and sesame seeds are all locally grown and ground. They are available at Moringa in the Punta and El Señor Salud in Costa Chica, (Av. Costa Chica next to the primary school).